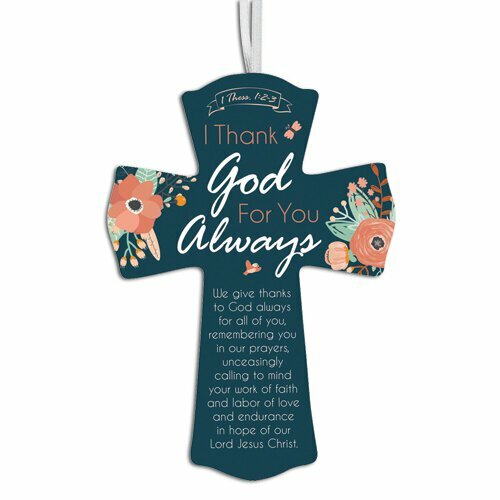 This cross is the perfect way to share your appreciation for those serving the Lord. 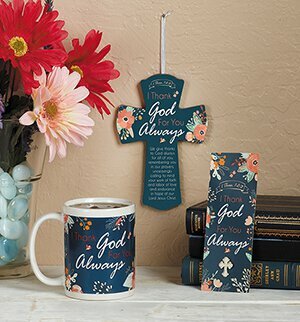 Includes a ribbon hanger, the sentiment "I Thank God for You Always" and the Bible verse "We give thanks to God always for all of you, remembering you in our prayers, unceasingly calling to mind your work of faith and labor of love and endurance in hope of our Lord Jesus Christ" 1 Thess. 1:2-3. Value priced for give-aways during volunteer and service gatherings.